According to the just-published 2018 World Health Organisation (WHO) World tuberculosis (TB) Report there was an estimated 322 000 new TB cases in South Africa in 2017. 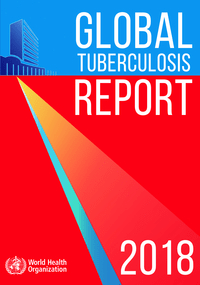 This number is much lower than was expected based on previous World TB reports. The report does however indicate that there is significant uncertainty about this number, with a 95% chance that the actual number is in the range from 230 000 to 428 000. Since a large percentage of TB cases are never diagnosed, it is very difficult to accurately estimate the total number of new TB cases and there is often uncertainty around these estimates. For the 2018 report, substantial changes were made to the methodology used to calculate new TB cases. These changes were retrospectively applied to produce new estimates for all years from 2000 to 2017. The figures in the new report thus replaces all previous WHO estimates for new TB cases in South Africa. Maybe most importantly, the widely quoted figure of 438 000 new TB cases previously reported for 2016, has now been replaced by a much lower estimate for 2016 of 346 000. The newly reported reduction from 346 000 in 2016 to 322 000 in 2017 nevertheless represents an impressive 6.9% decrease in new TB cases. The report also estimates that 78 000 (22 000 people not living with HIV and 56 000 living with HIV) died of TB in South Africa in 2017. Though still high, these numbers are also much lower than expected based on previous WHO reports. The latest report adjusted the total estimated TB deaths (including people living with HIV) for 2016 down from 124 000 to 81 000. It should be pointed out that there is still very substantial uncertainty concerning these numbers – for example, there is a 95% chance that the real number of people with HIV who died of TB in 2017 is between 39 000 and 77 000. These wide confidence intervals indicates that we may well see more large drops or increases in future estimates. Either way, while the large fluctuations and wide confidence intervals does not inspire confidence in the numbers, the WHO deserves credit for being upfront about the substantial uncertainty regarding key numbers. While many of South Africa’s numbers are now lower than expected based on previous reports, the country still ranks as one of the worst when it comes to TB cases per 100 000 people. At 567, South Africa is one of only five countries above the 500 mark. The others are Lesotho (665) Mozambique (551), the Philippines (554) and the Democratic People’s Republic of Korea (513). Here too however the confidence intervals are very wide and accordingly not too much importance should be placed on precisely where different countries rank. According to the latest WHO estimates South Africa’s epidemic peaked at around 977 cases per 100 000 in 2007 and 2008 and there appears to be a clear downward trend since then, as would be expected with the scale-up of antiretroviral treatment. For those interested in examining the data more closely, CSV files with the data can be downloaded from the WHO’s excellent TB data repository.